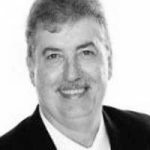 Ashley has over 30 years of managerial experience in Manufacturing & Retail, and extensive experience in change management and organisational reengineering. Ashley has worked as a senior manager in USA publicly listed Sarbanes Oxley Standard companies and has extensive experience working in Asia and the USA. He has managed a significant number of acquisitions and mergers in the USA, Australia and New Zealand. A Graduate and Fellow Australian Institute of Company Directors. A former board member Australian Health Industries Inc.
A former President of Hearing Aid Manufacturer & Distributors Association of Australia. A former member of the Federal Minister for Aged Care Hearing Consultative Committee. The former Chair of South Australian Aquatic Sports Coalition. The former President of Diving South Australia. Awarded A member in the order of Australia for services to Hearing & Sport. Janet’s career spans 21 years in the professional leadership and management of large-scale health care businesses. She has led large teams of people to significantly grow health businesses through service innovation and support of professional teams. She consistently improves financial performance, and maintains a rigorous commitment to governance and management strategies to mitigate risk. Janet has considerable expertise working in regulated health markets, working closely with governments to improve healthcare services and standards, and with stakeholders and consumers to maintain trust and confidence in world class professional healthcare standards. 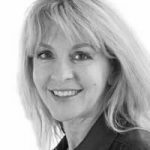 At Oticon Australia Pty Ltd (known in the retail marketplace as Audika), Janet is responsible for growth, innovation and the transformation of the unified retail hearing health network of Audika retail clinics in both Australia & New Zealand. 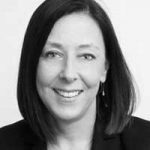 Prior to Oticon Australia, Janet was the Group General Manager Strategy at St Vincent’s Health Australia, Group Manager Strategic Development at St John of God Health Care, and held several roles at St John of God Pathology including National Operations Manager and Director of Finance. After a successful career with British Airways in London, James and his family emigrated to New Zealand in January 2009. That year he was appointed General Manager for National Hearing Care, a privately owned Australasian Audiology group. After the 2011 acquisition of the National Hearing Care Group by Amplifon of Italy, James was appointed Managing Director for Amplifon NZ and took on the responsibility of managing Bay Audiology as well as National Hearing Care. 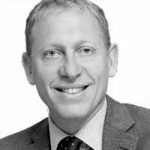 In 2014, James was appointed Managing Director of Triton Hearing, part of the Swiss Sonova Group, the world’s largest hearing healthcare company. Triton Hearing is New Zealand’s second largest hearing healthcare provider and successfully achieved Consumer Trusted status in 2015. James’ passion is customer service and ensuring that New Zealanders get the very best outcomes from their hearing healthcare experience. In February 2018, James was appointed VP Asia Pacific Sonova Retail at Sonova Group. James’ believes innovation is the key to unlocking the full potential of an organisation. Whether it is people innovation or service innovation, commitment from your colleagues and your customers is driven by their desire to invest in your business. If you can demonstrate that you are willing to innovate and disrupt for their benefit, you have the ingredients for long-term business success. Never stop trying to be better. Liliana Comitini was appointed as General Manager, Australia of National Hearing Care which is part of the Amplifon Group. Liliana has been with Amplifon for 10 years, most recently as General Manager for Amplifon Spain and Portugal where she has been responsible for leading a team of 650 people with 320 clinics. Prior to this position Liliana was the Commercial Director for Amplifon Italy for 5 years. Liliana has worked for the last 25 years as a leader in retail organisations across Marketing, Sales and Commercial positions and has a degree in Law from the University of Catania, an MBA from ISDA, Roma, and further Advanced Management studies from IESE in Barcelona. She speaks fluent Italian, Spanish and English. Liliana’s deep commercial and retail expertise along with her passion for customer centricity and her strong values driven leadership style will enable her to lead National Hearing Care into the next phase of its growth and success. Liliana will commence with NHC in January 2019. Eron Plumb is the Managing Director & Chief Executive Officer of Bay Audio Group (Australia & Singapore). 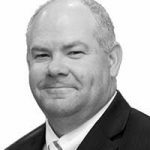 He is an experienced senior retail executive with over 28 years of experience having worked with some of Australia’s most successful and leading retail brands. Eron started his retail career with Coles Supermarkets. He then went onto hold various management and leadership positions in 3 of the retail divisions in Wesfarmers (previously Coles Myer) culminating in managing and leading the Harris Technology business through a successful turnaround before being approached to join Bay Audio as its Australian head. Eron’s passion for customer outcomes has been a driving force behind his career growth and he now is responsible for all Bay Audio Group companies. Nina Quinn was appointed as Chief Executive Officer of Neurosenosry in 2008. 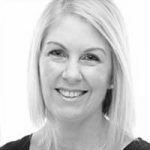 As a recognised leader in her field, Nina’s wealth of experience and strong track record of delivery has seen Neurosensory expand from a local Queensland business to one that stretches across the eastern seaboard with 25 clinics and over 65 ENT surgeon partners. In addition, under her leadership, Neurosensory successfully transitioned Neurosensory to be a public (unlisted) company. Prior to Neurosensory, Nina was the inaugural Clinical Director of Neuromonics Pty Ltd (2004-2007) and was integral in taking the venture capital start-up to its international launch. She has also held several senior management roles at Australian Hearing (1997-2003). In addition to her role as Chief Executive Officer, Nina provides guidance to smaller commercial ventures through non–Executive Director capacity, and represents the broader hearing and health industry through various committees and task forces. Nina has a MBA, and is a qualified Audiologist with a Bachelor of Science. She is also a Graduate member of the Australian Institute of Company Directors.